Ten bird feeders currently hanging in my backyard. 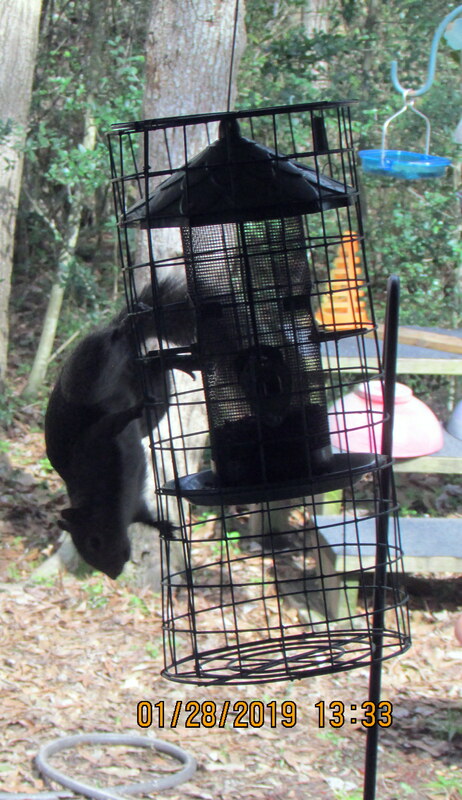 Some are “seasonal”: Suet feeders for Woodpeckers, etc., and Nyjer seed for Finches. 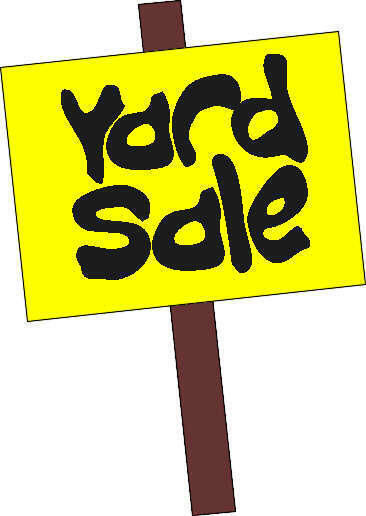 By the time the “yard sale” sign is displayed, the seasonal feeders will be destined for a new home. The “free stuff” area is growing every day. Eventually, if a remainder, the stuff will go to the dump. “Going, going, gone!” (Nothing valuable enough to donate to a thrift shop.) 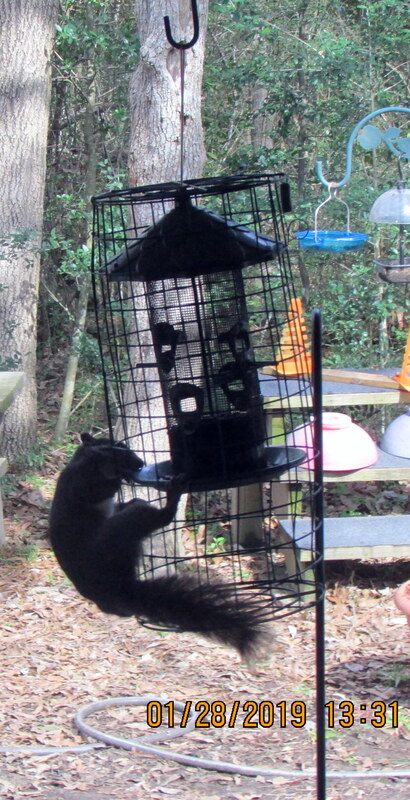 ~~ This little fellow doesn’t respect the fact that this a “bird” feeder. 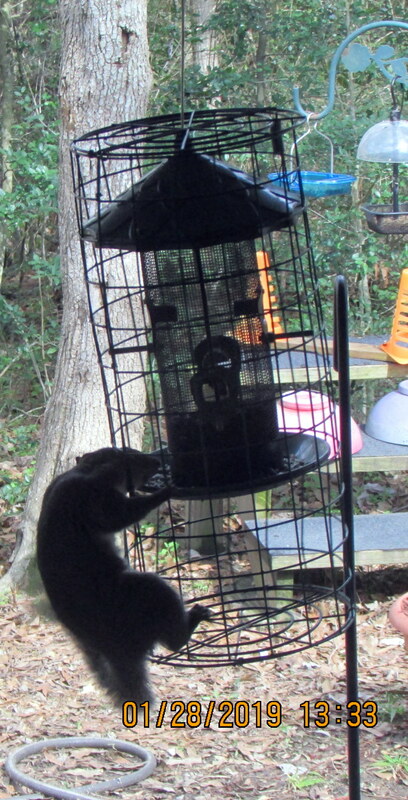 He was so frustrated with the “guard” around feeder!! So humorous to watch his antics.